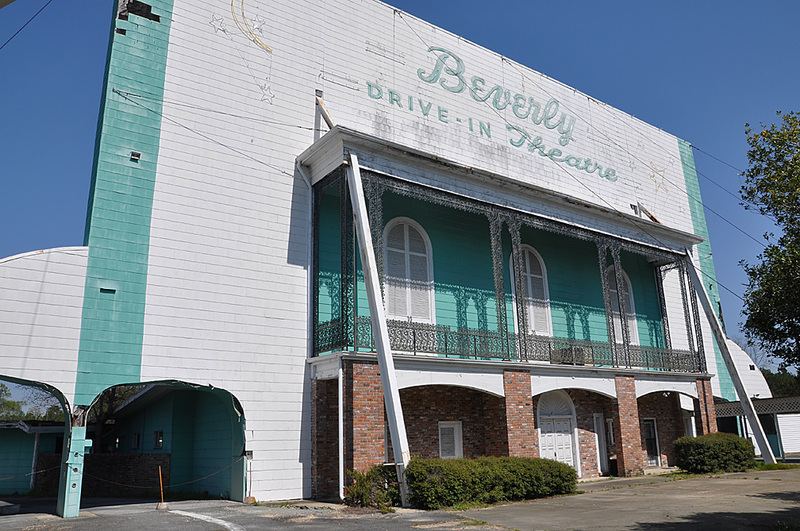 The Beverly Drive-in was built in 1948. There was a Goofy Golf miniature golf course at the front of the property. 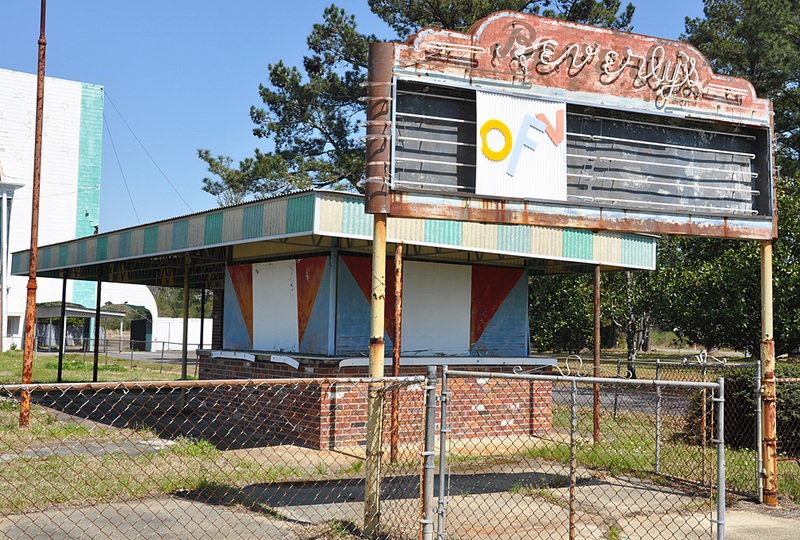 The drive-in closed in 1987 when the owner passed away. It reopened in 2001. 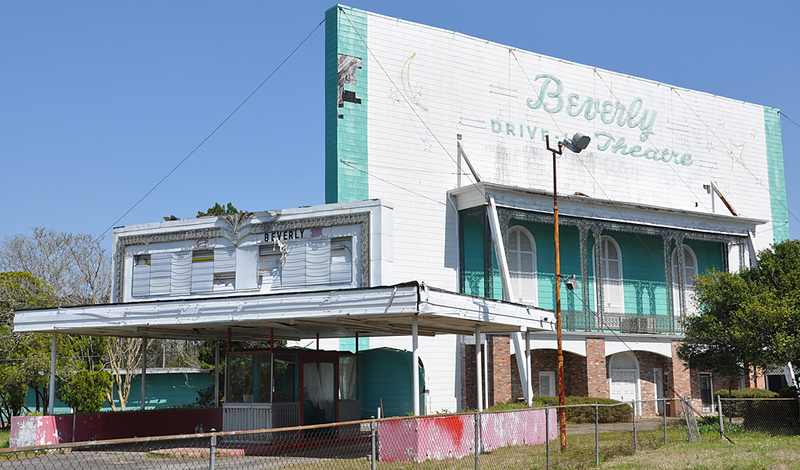 However, in 2005, the drive-in was severely damaged by Hurricane Katrina. In 2010, what was left was destroyed by a fire. For more, see these websites: 1 and 2.